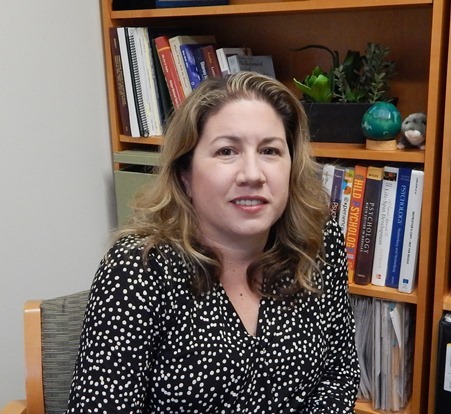 Home Our Faculty & Staff Faculty Jennifer L. Bizon, Ph.D.
My NIH-funded research program is broadly focused on determining the neural processes that support memory and executive functions and that contribute to the decline of these functions across the lifespan. Using rodent models, my laboratory employs an integrative approach that combines cognitive assessments with cellular, molecular, and pharmacological methodologies. My laboratory has uncovered disruptions in both glutamatergic and GABAergic signaling in the aged prefrontal cortex that contribute to impairments in cognitive flexibility, working memory and decision making. Moreover, we have identified deficits in olfactory discrimination abilities in aged subjects that predict impairments in hippocampal-dependent memory function. Finally, we have demonstrated that pharmacological targeting of GABAergic signaling reverses several aspects of cognitive dysfunction in aged rats, including working memory, cognitive flexibility, and olfactory discrimination learning. Our long-term goal is to use these findings from aged rodent models to develop therapeutics that promote personal independence and quality of life in older adults.